Art Digest - (1926-1954). 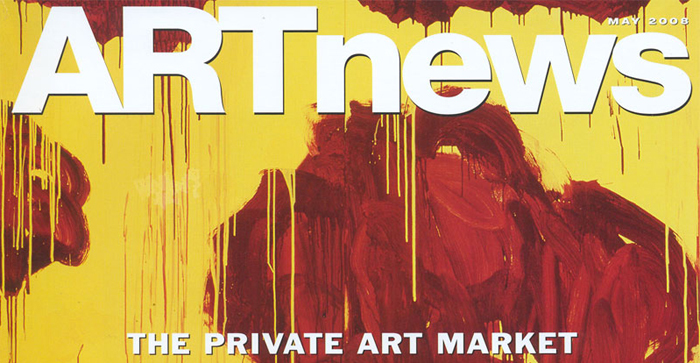 "The news magazine of art." La RÉvolution surrÉaliste - was a publication by the Surrealists in Paris. Twelve issues were published between 1924 and 1929. Le SurrÉalisme au service de la rÉvolution - was a periodical issued by the Surrealist Group in Paris between 1930 and 1933. London Bulletin - was a magazine edited by E.L.T. Mesens and published by London Gallery in London in 20 numbers between April 1938 & June 1940. Minotaure - published between 1933 and 1939, was a Surrealist-oriented magazine founded by Albert Skira in Paris. The editors were André Breton and Pierre Mabille. It was a luxurious publication, sporting original artworks on its cover by prestigious artists like Pablo Picasso. The magazine was sponsored and advised by Surrealist art patron Edward James, and is still one of the richest sources of information about the pre-war Surrealist world. Über Kunst und Altertum - kunstkritisch und kulturpolitisch ausgerichtete Zeitschrift von Johann Wolfgang von Goethe, erschienen in sechs Bänden zwischen 1816 und 1832. Verve - (1937-1960). Was a modernist Parisian art magazine. It published 38 issues in 10 volumes including lithographs by the most prominent artists of the Parisian art scene of the first half of the 20th century. In addition, the early contributors included James Joyce and Ernest Hemingway. VVV - was a magazine devoted to the dissemination of Surrealism published in New York City from 1942 through 1944. It was the product of leading Surrealists.